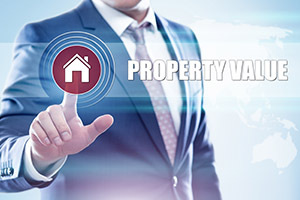 Our in-house valuation department provides valuation service activities in order to inform any interested parties about the physical and legal characteristics of a property. Below are some of the reasons why you may need a valuation. We are an independent property valuation company based in Cyprus who prides itself in providing our clients with impartial and professional property valuation advice. Using the very latest in internet based technologies, as well as our own extensive in-house property database, we provide clients with up to date property market advice. We prepare professional property valuations in accordance with the latest RICS Valuation Reporting Standards. Reports are kept as free of jargon as possible and are set out clearly and concisely. All of our property valuers are Registered with Etek (The Cyprus Scientific and Technical Chamber), which is the statutory technical advisor to the state and the umbrella organisation for all Cypriot engineers, surveyors and valuers. In addition, some of our expert property valuation team are also members of RICS (The Royal Institute of Chartered Surveyors). We offer all of our valuation reporting services in either the English or Greek language and can offer professional translations of these reports via our associate professional translators. We are experienced in all areas of property valuation, including the residential, commercial and touristic property sectors. For more information on specific property valuations we undertake, please read the information provided below or contact our team for more information. All legal procedures concerning non-Cypriot citizens buying property in Cyprus. How and where to buy property in Cyprus, so that the value of your investment can grow from year to year. Advice on financial matters and transfer of funds. After sales service and management of your property.